Have you ever wondered what champions do before they go to battle, especially if the prior match took a long extension? Luckily someone was able to catch how the Grand Slam champion Zhang Jike prepared before his match against Koki Niwa in the Olympic Singles quarterfinals. Zhang Jike is showing good condition in this year’s Olympic Games since he debuted in the competition. It was perceived that his journey in the Singles won’t be easy but he actually managed to pull off a convincing performance. His first hurdle was Chen Chien An and Zhang Jike ended it in four straight games. After which, he registered another 4-0 and this time against Adrian Crisan. He reached the quarterfinal round and encountered the Japanese young player Koki Niwa. Although the opening game was a loss, Zhang Jike took the next four straight games to his name. The 28-year old champion might have breezed his way through his previous matches in Rio but the next match shows a higher degree of difficulty: the semifinal match against Vladimir Samsonov. If Zhang Jike miss a match in this competition, then he will also fail to defend his Olympic title. 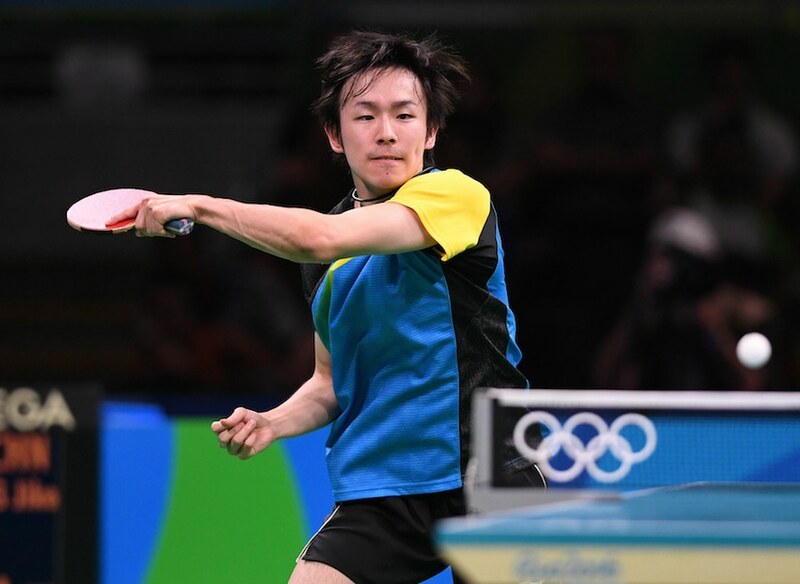 What’s more, he will also miss his chance to create another history in table tennis, being the first player ever to complete a second round of Grand Slam. Undoubtedly, a tremendous amount of pressure exists for the defending champion. But how does a Grand Slam winner deal with pressure? This photo was taken before Zhang Jike exchanged blows with Koki Niwa in the quarterfinals. Naturally, this picture gained a lot of reactions the moment it was uploaded and immediately became viral throughout the Chinese social networking websites, and now, here. Question: Could Zhang Jike still relax like this before his match against Vladimir Samsonov later today?